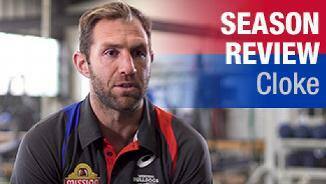 Western Bulldogs forward Travis Cloke has announced his retirement after 13 seasons at the highest level. 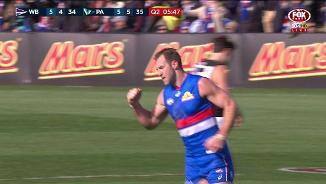 Help decide who kicked the best goal of 2017.
westernbulldogs.com.au reviews Travis Cloke's 2017 season. 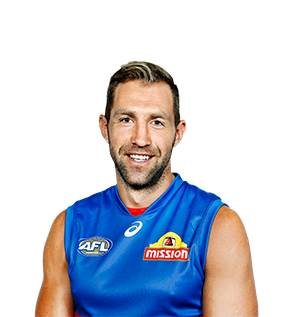 Cloke: "A driving force for our next season"
Forward Travis Cloke arrived at the Western Bulldogs during the 2016 NAB AFL Trade Period, in an exchange with Collingwood. Cloke is a two-time All-Australian, Collingwood best and fairest winner, and was a member of their premiership side in 2010. The 29-year-old played 246 games and kicked 441 goals in 12 years at Collingwood after being drafted as a father-son selection in the 2004 National Draft (pick 39 overall). 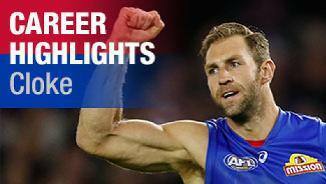 Cloke was a NAB AFL Rising Star nominee in 2005, Collingwood's leading goal-kicker on four occasions, and has finished in the top-three of the Magpies best and fairest a further two times in addition to his win in 2007. The power forward boasts outstanding endurance and physical strength, a raking left boot and is a strong contested mark.